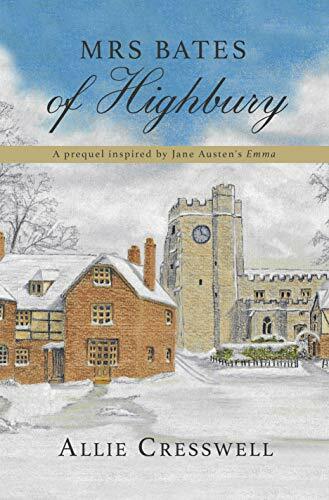 With familiar settings and familiar characters, reading Mrs Bates of Highbury is just like stepping into a Jane Austen novel and meeting with old friends, even though in this case they are in fact younger. Allie Cresswell has the style of writing pitch perfect and the plot was so like a Jane Austen novel. The manners and mannerisms of the characters were spot on. As in many Austen novels, there is a focus on social niceties and the difficulties for women particularly unmarried women with no income. I thoroughly enjoyed Mrs Bates of Highbury and feel it is a very convincing prequel to Emma. I really must reread Emma soon as it now seems like such a natural follow-on to this book, which felt almost as though it was flowing from the pen of Jane Austen herself. Although there is going to be another book focusing on the other Miss Bates, Jane, so I’d perhaps better wait for that one first. If you are a fan of Jane Austen and wish she had written more in her short life, I’m sure you would enjoy meeting her characters again in this short but entertaining book.